In Lewis and Clarks journals she is often referred as a Snake woman, which was term attributed to all Native American women at that time. Later, she gained more and more respect form other party members and was treated as equal. She had helped save the expedition several times thanks to her negotiating skills, knowledge in medicinal herbs and knowledge of the terrain. During the trip she gave birth to her son, and continued onward with the expedition carrying him upon her shoulders. Due to that fact she is often portrayed by many artist exactly in that posture. 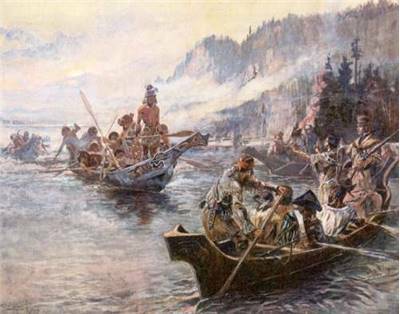 This woman was practically unknown until the publication of the novel The Conquest: The True Story of Lewis and Clark written by Eva Emery Dye almost one hundred years the expedition took place. 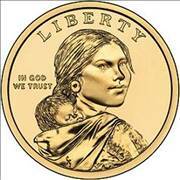 Sold to her future husband, Toussaint Charbonneau as a slave, Sacagawea accompanied him to an expedition, where he was hired to serve as an interpreter.She served as a navigator, translator and a medicine woman.She gave birth to her son during the trip that covered more than 4500 miles.Read other interesting information about Sacagawea. 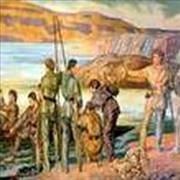 Later published Sacagawea (1933) novel by Grace Hebard only helped the story of a small Indian woman who showed the way to Lewis and Clark across America. Feminists and suffragist embraced her as an modern day heroine highlighting the role of women in modern day America. What started as a minor detail in the tale of Corps of Discovery, soon ended up as an important story in the American history. Born July 28, 1784 in a Agaidiku tribe of the Lemhi Shoshone. At age of twelve taken or adopted by a Hidatsa tribe. 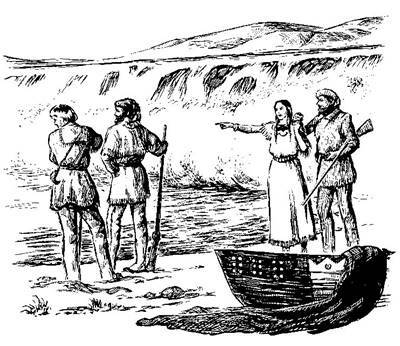 Sacagawea began her life as a daughter to a Shoshone chief, kidnapped or adopted by Hidatsa tribe then sold and married to a much older French Canadian	trapper at her teens. 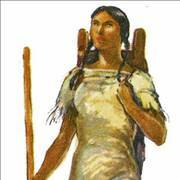 Sold to her future husband, Toussaint Charbonneau as a slave, Sacagawea accompanied him to an expedition. 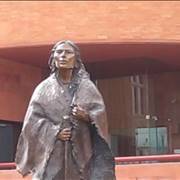 She served as a translator, navigator and a medicine woman. She gained trust of the entire party and soon was treated as equal by the other members of the expedition. She gave birth to her son, Jean-Baptiste Charbonneau, during the trip that covered more than 4500 miles. 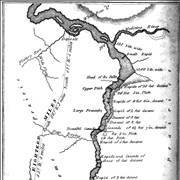 Expedition lasted for three years until it reached its conclusion at Fort Clatsop. 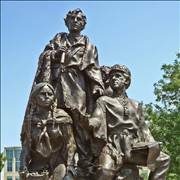 Sacagawea returned with her husband to Fort Mandaine after a brief period when they lived at St. Louis where she stayed for period of several years. Her life ended, by one account, at age of 25 due to a putrid fever complication, and by another, peacefully at an old age in a	Shoshone tribe where she supposedly returned. 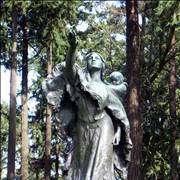 Modern day America continually pays her tribute with many statues, memorial centers, parks and even a commemorative mint dollar. She has been a matter of historical debates, figure portrayed in feature length movies, publications and many other art forms.